If you are the victim of someone else's actions, or you have been charged with a crime, there are many decisions facing you. 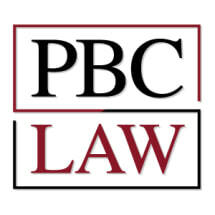 At the law firm of Peterson, Berk & Cross, S.C., in Green Bay, Wisconsin, our attorneys provide you with the information you need, using our more than 150 years of combined experience to guide you. We regularly handle matters throughout the surrounding area and in Appleton that include the following: premises liability, automobile accidents, medical malpractice, nursing home negligence, drunk driving charges, drug crimes, murder and assault. We understand that you have specific desires and goals, and our law firm is dedicated to helping you achieve those objectives. Our staff listens to your concerns, answers your questions and works with you to build a case that centers around what you want. A serious injury or a criminal charge can cause an unease about your future. We know how much is at stake and we are passionate about seeking justice on your behalf. Through working with Peterson, Berk & Cross, S.C., you can gain peace of mind, knowing that you not only have skilled litigators on your side, but also compassionate advocates who know the impact that a legal matter has on your life. For your convenience, our law firm is set up for credit cards, and we offer a free initial consultation.